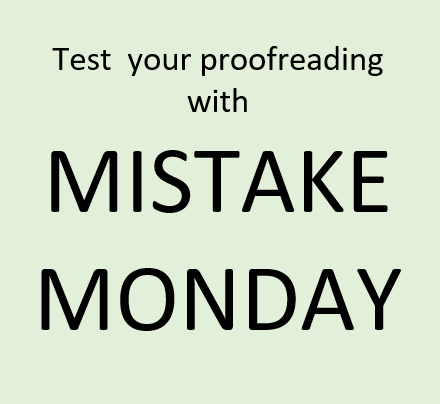 MISTAKE MONDAY for Aug. 20: Can YOU spot what’s wrong? MISTAKE MONDAY for Aug. 6: Can YOU spot what’s wrong? 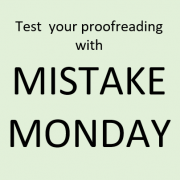 MISTAKE MONDAY for May 14: Can YOU spot what’s wrong? https://www.investmentwriting.com/newsite/wp-content/uploads/2018/01/Mistake-Monday-2.png 404 440 Susan Weiner, CFA https://www.investmentwriting.com/newsite/wp-content/uploads/2016/12/investmentwriting_logo_2016.png Susan Weiner, CFA2018-08-20 05:30:252018-07-09 07:53:03MISTAKE MONDAY for Aug. 20: Can YOU spot what’s wrong? I looked, and I have four examples of this error in my Mistake Monday archives. 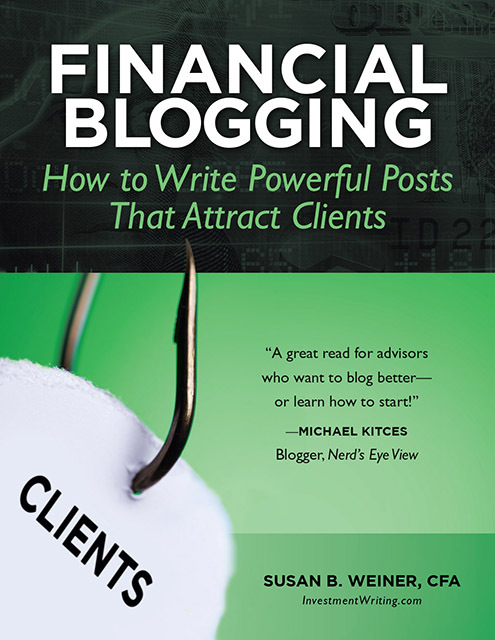 George Orwell’s writing rules and financial writing Do your blog posts have laugh lines?